Universal and The Virtual Reality Company Announce Epic New Virtual Reality Game "Jurassic World VR Expedition"
Universal and The Virtual Reality Company (VRC) today announced Jurassic World VR Expedition, an interactive cinematic virtual reality (VR) game that transports players to the visually stunning jungles of Isla Nublar, where fans will engage in an epic rescue adventure inspired by the Jurassic World film series. Jurassic World VR Expedition makes its debut on June 14 at more than 100 Dave & Buster's entertainment centers, making it the biggest location-based VR launch to date. The VR game launches ahead of Jurassic World: Fallen Kingdom, which arrives in theaters on June 22, 2018. The VRC development team includes several Academy Award®-winning and -nominated animators, visual effects artists, and technicians. Written and directed by James Lima, a multi-Emmy Award-nominated visual effects artist, and executive produced by VRC co-founders Robert Stromberg, a two-time Academy Award winner®, and entertainment executive Guy Primus, Jurassic World VR Expedition boasts an all-new approach to VR. Up to four people at a time can put on an HTC VIVE™ headset and enter the Dave & Buster's state-of-the-art VR motion simulator, where they will be transported into what remains of Jurassic World for a five-minute suspenseful, awe-inspiring expedition. There, they will rescue dinosaurs that were freely roaming Isla Nublar at the end of the last chapter of Jurassic World. "Jurassic World VR Expedition is the ultimate wish fulfilled," said Jurassic World VR Expedition Director James Lima. 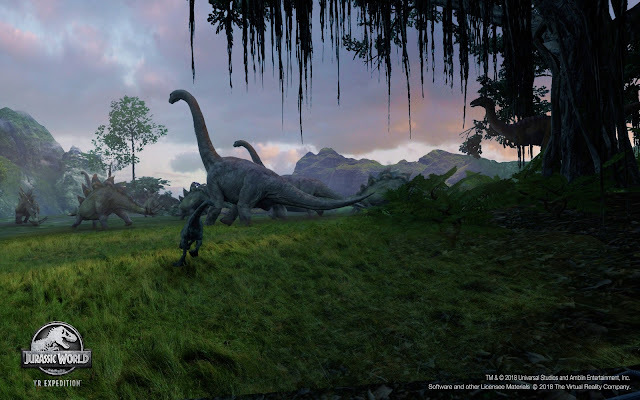 "We wanted to take people to Isla Nublar and visit Jurassic World, and here is where the power of VR presents its potential as a medium that is an extension of the film." "What we have done for this project is groundbreaking," added The Virtual Reality Company Co-Founder and Chief Creative Officer Robert Stromberg. "It represents a remarkable departure from the traditional approach to combining VFX and gameplay in VR. To achieve the level of cinematic visual integrity we would like to see in VR, we integrated a variety of filmmaking techniques to help complement established entertainment software approaches." Jurassic World VR Expedition is the latest in a strategic expansion by Universal into gaming. Last year, Universal announced a significant build-up of its games team, as well as a more active approach and investment into game development. 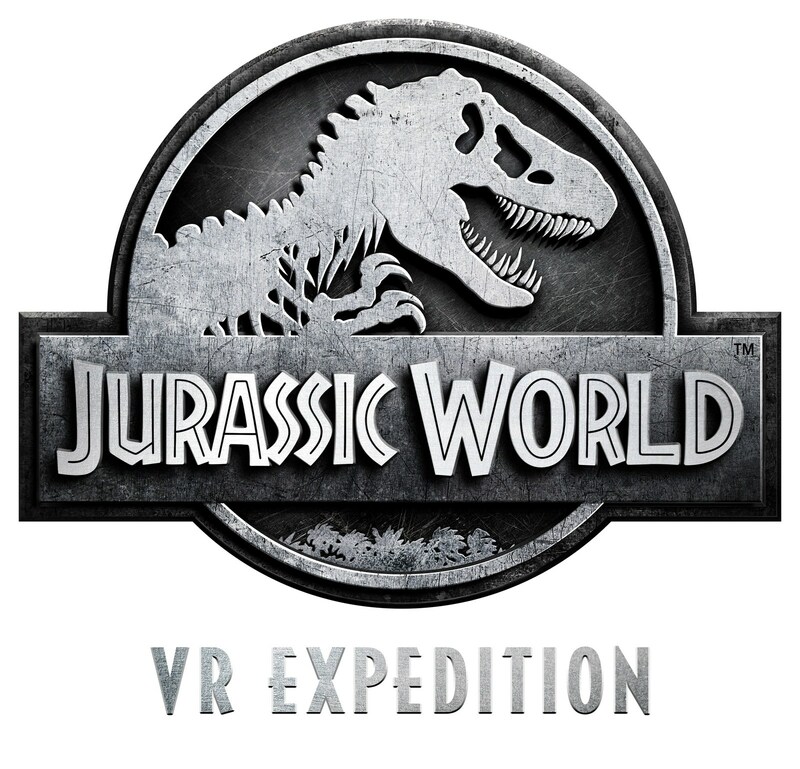 Jurassic World VR Expedition is the first VR production being released that is part of a bold portfolio of games rolling out in 2018 and beyond. "For many, this will be their wondrous introduction to VR, and Jurassic World VR Expedition will transport fans in a more immersive way than they could imagine. Players will experience the dinosaurs—both the majestic and terrifying—first person," said Chris Heatherly, Executive Vice President of Games and Digital Platforms, Universal Brand Development. "We are thrilled with the breathtaking visuals and cinematic experience that VRC has delivered, as well as by Dave & Buster's bold step to make this experience available to such a broad audience." "The exclusive launch of Jurassic World VR Expedition at all Dave & Buster's locations represents an incredible milestone for us as we aim to be at the forefront of location-based entertainment VR," said Kevin Bachus, Senior Vice President, Entertainment & Games Strategy, Dave & Buster's. "Our innovative, top-of-the-line simulators will provide fans with next-level immersion, putting them into Jurassic World for a breathtaking journey alongside the biggest creatures this world has ever known." To try Jurassic World VR Expedition, players can find a Dave & Buster's location in their area or through Vive's Demo Locator. The game will be rolling out soon to additional location-based VR venues worldwide.